This post has been originally published on June 20, 2016 and has been extensively revised and updated on January 14, 2019. Take a second to mingle about that. No matter what you have just envisioned, you have the power to get one step closer to that career of yours. That step is learning how to write a resume that instantly grabs attention and results in call-backs. Our detailed guide features essential tips both for recent grads and seasoned professionals covering everything from general design and styling tips, to resume objectives and resume summary statements, work experience, education and cover letter. Use the table of contents below to hop to the right section. Which Key Skills To Include in Your Resume? We get your confusion! The terms CV (curriculum vitae) and resume get tossed around interchangeably by so many recruiters around the world. So let’s establish some clarity first. A resume is a short (typically one-page long) summary of your professional, personal and educational experiences. It provides a brief overview of your credentials and intends to grab the recruiters’ attention and call you in for the interview. You are very much encouraged to customize your resume for every job posting you are applying to. A CV is a more detailed version of your career and personal history. It goes on for two or more pages (depending on how long you have been in the workforce) and provides the reader with more exhaustive information about your career goals, past achievements, educational credentials, and other accomplishments. In most cases, CVs are organized chronologically and don’t require extensive customization for different job postings. You should build up your case in a cover letter instead. A portfolio is the curated collection of your work assets and activities. The main goal of a portfolio is to attest your skills and talents, by giving a quick sneak-peek of what you are capable of. Portfolios are an absolute must-have for those in the creative industries – graphic design, copywriting, journalism, architecture, videography – and freelance/contract workers. Portfolios are catching on in the IT niche as well for UX/UI designers, app/website developers and coders. For candidates with little-to-no work experience on their resume, a portfolio featuring a few leisure, college or sample projects can serve as an excellent mean for breaking into the desired industry. Yet, you don’t need to pile up a portfolio if your job assumes no tangible deliverables for review. As a marketing manager, for instance, you don’t need to create a portfolio of campaigns you have worked on. Instead, you can just list up your main achievements in your resume. A CV is a more detail-heavy backlog of all your work experience, educational details, certifications, awards, professional affiliations, certifications and so on. In the US, CVs are mainly required for positions in academia, medicine, and scientific research. Add a portfolio to your application only when applying for creative jobs, and/or if specifically asked to provide one in the job posting. NB: Job hunting internationally? Mind that in the UK, Ireland, the EU and New Zealand most employers will expect you to file a CV, not a resume. For reference, you can grab an official EU format CV format template for free. In Australia and South Africa, file a resume when applying for a job in the private sector, and prep a CV for a public service position. Your resume is a reflection of you, so just like you, it should be smart, confident, honest and open. You should be proud of your accomplishments so these should be well summarized without making you come across as self-absorbed. Be careful not to over-share. There are occasions where it is OK to bend the rules when drawing up your resume, but certainly not break them. If you have a good reason to bend the rules by including unrelated information on your resume because the position you are applying for needs a bit more personality than your average job, and you think your potential employer needs to know more about you as an individual, then include it. However, try not to go over the top with your information as you have to remember that your resume is only the first part of your job application. It can open the door to an interview, but you will want to keep a little something back about yourself to impress them in person. Presentation is everything. Regardless of the type of job you are applying for, there are always going to be some rules that never change when drawing up your resume. You should always ensure it looks clean and easy to read. 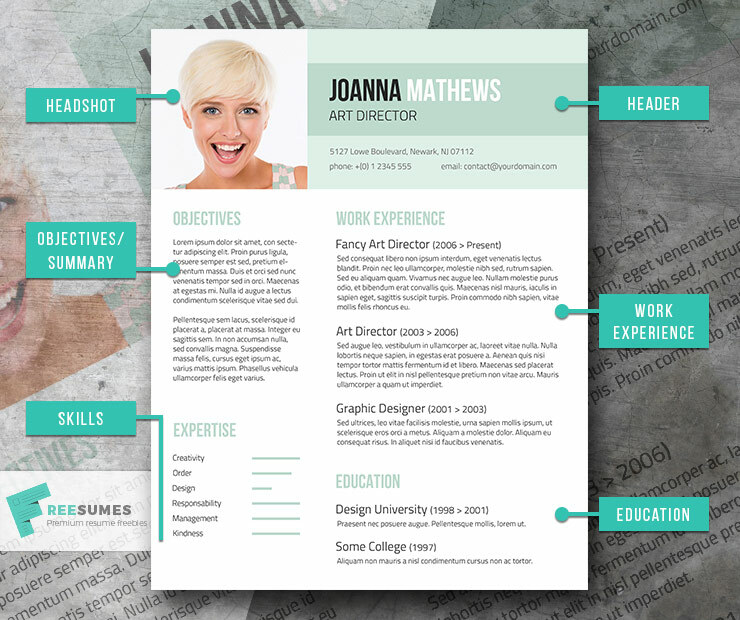 Try to steer clear of graphical resumes wherever possible. Including images and useless graphics can make your document particularly difficult to read, and you will end up sacrificing crucial content for pretty pictures that take up more space and will be off-putting to potential employers who are doing a first quick scan-through of your resume. Chronological resume format – lists up all your work and educational information in reverse chronological order. It’s the most widely used resume format out there, also used by LinkedIn to organize your profile information. Pros: An “easy” and familiar read for any recruiter. Delivers a clear view of your career progression. Cons: Employment gaps and illogical career progression are more visible. Functional resume format – places your skills and experiences in the highlight, rather than employment history. It’s a great choice for recent graduates, internship applicants, or those changing career fields. Pros: Emphasize your skills to draw the attention away from your work history. Excellent choice for recent grads, and those who want to transition to another industry. Cons: Not all HR managers are fans. Some may be left wondering about your employment or lack of job details. Combination resume format takes the better of two worlds and focuses on skills themes, accompanied by more detailed work history. Pros: Best for experienced workers with transferable skills, seeking positions in another industry. Again, it can help conceal some work gaps. Cons: Less familiar to a lot of recruiters. Some may want to just read about your work history. Read more about how to choose the best resume format. The first thing a prospective employer will evaluate is your resume look and layout. Clearly, you don’t want to appear as an amateur and file some sloppy, hodge-podge document. Use plenty of white space, especially around the margins. Add icons instead of spelling out words like “email” or “phone”. Headings are a must. Bullet points too. Don’t experiment with fonts (unless you really know what you are doing). Stick with serif fonts (like Times New Roman or Georgia). Use a 12-point size or larger for the main texts and 15-point or higher for headings/subheadings. Google for proven font pairings, instead of trying to create personal ones (unless you are a designer). Align your content to the left to make it more skimmable. Use bold, italics, Capitalization and underlines to highlight the key information. Give each section a simple sub-heading – career objectives, work experience education, skills. No need to exercise your creativity here and propose something fancier. Add clickable links to your portfolio, social media profile and/or research publications. 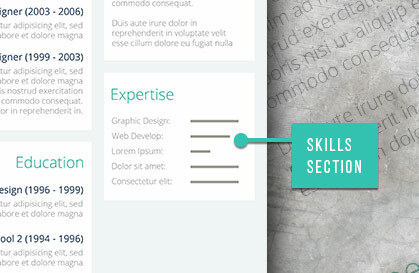 Use a two-column layout to fit in more information on one-page (without making your resume look messy). Write in short, succinct sentences. Make clear statements, do not babble and get sidetracked. Clarity is everything! Feeling discouraged by all these design rules? 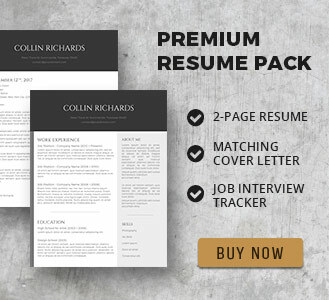 We have a bunch of pre-made free resume templates that slash the design process by 10X. Download one of our modern, creative, simple or professional resume templates and quickly fill in the gaps with your personal info. Header area with your contact information + headshot (optional). Quick resume summary/objective or career statement. Now let’s tackle every one of these step-by-step. Full mailing address – some crusty employers still send snail-mail offers & rejection letters. Also, this may be handy if you are applying for a position in another city/state to indicate that you’d rather start with a phone interview. Other social media links: suitable only if those showcase your work e.g. link to a Behance portfolio as a designer or to Instagram as a photographer. Personal website/blog. Add the URL only if the information there is relevant e.g., you have a portfolio, client/employer testimonials or thought leadership content published. Any additional personal details, e.g., marital status, nationality, religion, etc. Second email or phone number – these can lead to further confusion. The best option is to keep it short & sweet e.g., Senior Java Programmer or Sales Manager. If you are somewhat well known in your industry and have an established online presence, it’s OK to make your title more brandable, e.g., “The Original Conversion Copywriter”. Some career “experts” say that you should never-ever consider slapping a photo of yourself on your resume. Because most employers are so fearful of discrimination allegations that will automatically discard any submission with a pic on it. But today when anyone can be found on social media in a few clicks, such rationale starts making less and less sense. A few years ago, I had several top-tier companies and universities calling for interviews when I used a professionally designed resume that used the same tasteful headshot that my LinkedIn profile used. I’m no George Clooney, but I imagine some HR folks and hiring managers thought, “This looks like a pleasant enough fellow with a nice smile, and he has a good record—what the heck, let’s call him in. For startups and employers from the creative industry, it’s no longer unusual to ask for video resumes or quick self-introduction videos as part of their application process. But the “old guard” companies may not be that accepting of a photo resume. According to Talent Inc survey, a resume headshot is considered a deal breaker by 28% of HR executives. Ultimately, it’s your call whether to include a picture of yourself or not within a particular application. Resume Objective, Resume Summary or Personal Statement: Do I Need These? Most likely yes. Recruiters are extremely busy folks, rumored to give each resume just a 6-second look on average. So how do you convey your fit for the role in such a brief timeframe? With a banging professional statement and a resume objective enticing the reader to dwell longer on your application. A resume objective statement outlines what you are seeking for within a new role and what you can bring to the table. Typically, it’s 1-2 sentences long, taking a prominent place just under your header. Review more resume objective examples in this guide. 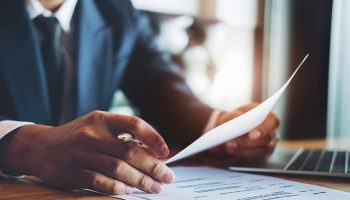 A resume summary statement shifts the focus on the company’s needs and serves as a “what I can do for your business” pitch from you as an applicant. If you plan to file a functional resume, consider expanding either of your statements into more detailed summaries that would further outline your work experience, highlight transferable skills, personal qualities, achievements and indicate your desired career trajectory. A personal statement is just another name for a resume/career summary. You don’t need to write all three of them – just pick the best option that works better for you. A resume objective works best when…. you are switching careers and want to highlight transferable skills from another industry. you are applying to a very traditional, corporate company. A resume or career summary is your best bet when you have some great achievements, solid credentials and a long track of successful projects. 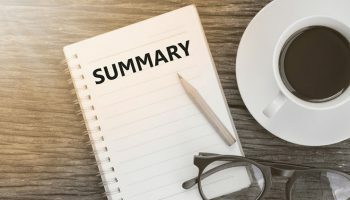 What is the optimal length of a resume summary? If you are filling a chronological resume, keep it brief – around 50-80 words. Your goal is to serve just a quick “teaser” to the reader and entice them to read your application further. Work experience is the main “serving” of your resume. This section will occupy the most space on the page. But it doesn’t mean that it should be full of “fluff” and generic filler statements. 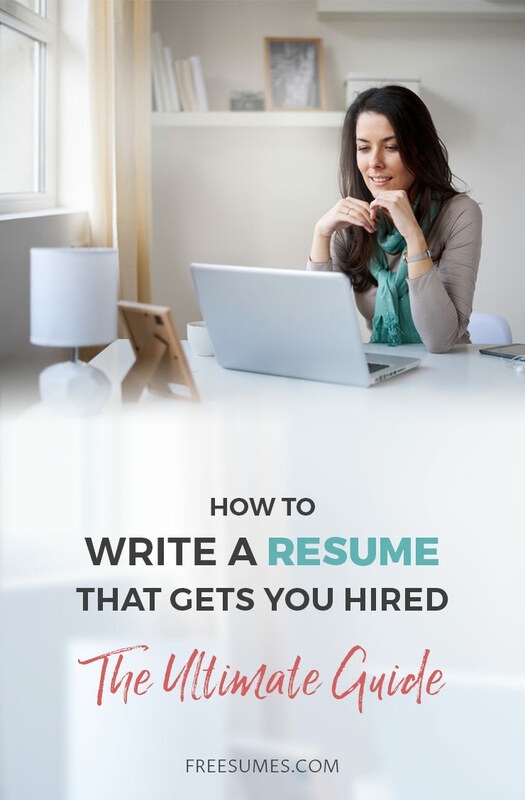 On the contrary – customize your resume depending on the position you are applying for, highlighting various skills, achievements and job chores. Job Title – should go atop of every new entry, styled as a bold heading. This way the reader can easily scan through all the titles at one quick glance. Company Name, City, State – place this tidbit just under the job title. Employment dates – list the timeframe of your employment with a particular company. Typically, you should add the year or year plus month. If you are still employed by the first company, format the dates in the following manner: Jan 2017 – Current. Key Responsibilities – use bullet points to briefly list your duties and common tasks. There’s no need to highlight every single thing you did on the job. Add chores that are the most relevant to your new job. Aim for listing 5-6 key responsibilities per work entry. Main Achievements – throw in some bragging rights that will show the potential employer how well you did your chores. You can back up selected few responsibilities with an achievement statement or enlist one main achievement per job. Hired, on-boarded, managed and trained a team of 25 international contractors. Achieved 95% retention over 3 years time (vs. 75% industry average). Keywords – sprinkle those strategically throughout your work experience section. This both helps if you want to get by the applicant tracking system, designed to weed out candidates without relevant skill sets and impress the recruiter as well. Cherry pick phrases and skills listed in the job ad. Pay special attention to the qualification section – it has just the right keywords you need. Add some power words that will convey the right impression about you to the HR folks. See what skills others are listing. 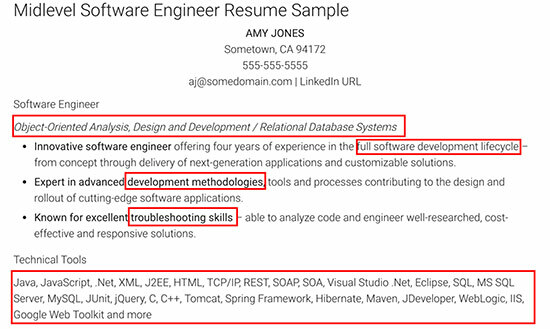 A quick Google search will yield you a bunch of resume examples for your industry. Additionally, you can create a separate Skills section that will highlight your key talents as featured in this template. Use the cues from the job description to guide you. If you are applying for a software development position, you should spell out your familiarity with different programming languages, databases, tools and technologies, along with the general desirable soft skills like teamwork, collaboration, etc. Certifications: Google Analytics Certified, PPC Certified, Email Marketing Certification by HubSpot. Tools: Google Analytics, Facebook Ad Manager, Amazon Ads, Ahrefs, Google Search Console, MOZ. General skills & qualities: result-oriented, analytical, creative thinker, great project manager, and a strong communicator. Software: SAP ERP, QuickBooks, Advanced MS Excel user, Sage. Key skills: tax audit, payroll preparation, enterprise bookkeeping, accounts management, inventory management. General skills & qualities: detail-oriented, analytical, efficient, ability to work under pressure. Software/tech skills: ZenDesk, LiveChat, CRM, Support Center, Microsoft 360 Office. Key skills: Cross-selling/up-selling, time management, conflict resolution, customer retention, phone support. General personal qualities: tenacity, solid communication skills, articulate, results-oriented. Don’t over-stuff your application with keywords. Not every second word should be a keyword you have taken out of the job description or somewhere else. 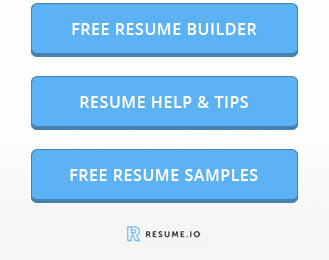 Customize your resume to match every job listing. HRs have zero tolerance for generalized applications. Eliminate repetitive words or phrases. Different work entries should not sound the same, even if your duties didn’t differ much. Make sure you demonstrate and quantify the results of your work for every entry. If you are straight out of college, it’s best to place the education section before work experience. It will then compensate for the lack of hands-on work experience. In other cases, it’s better to list education after work experience. Add all other degrees in reverse-chronological order. If you haven’t yet graduated, it is still OK to list your current degree and the courses you have completed. Type of degree – Ph.D., MA, BS, BA, etc. The name of your university/college and its location. You can add extra information about your education if you like, though this isn’t really necessary for seasoned professionals. The key here is to make sure that you use a consistent format for all your entries. Certifications can prove that you are a more valuable and skilled candidate. So don’t be shy to list up relevant courses and license you have obtained. Be sure to list only relevant certifications when applying for a job. Being CPR certified is great, but that cert will not boost your chances of landing a job in Accounting. Though a CPA (certified public accountant) definitely will. You may also be tempted to list e-courses from Lynda, Coursera, and other MOOCs in your resume. If those are very relevant to the application, go on and mention them. But if you took something like Phycology 101 course, better keep that info to yourself for now. Still, have some space left on your resume? Great, then you can squeeze in a bit more information that will make your resume more personalized. Everyone will list their work experience, education and skills. But few can boast the same interests, volunteering experience or other hidden talents as you do! Fluent in Chinese? Was raised bilingual? Awesome! That means you can bring more value to the employer, especially if you are applying to an international company. Briefly add the language you speak and your level of fluency. Pro tip: If you took two years of French in K12 and never practiced it after, better skip mentioning your proficiency to avoid any faux pas. Every employer has a unique work culture. Some like hiring creative and playful candidates; others are looking for exceptional team players. Your hobbies like sports, arts or other unusual activities can show employers that you are a “fit” to the current team. Same here – an increasing number of companies make “giving back” as their company mission and want to hire employees who share their aspirations. Today nearly 1 in 4 companies in the US are giving employees paid time off to volunteer. Showing that you are a socially responsible citizen and have a deep care for certain causes can be another bonding point between you and the prospective employer. Unless you have bragged about some top recognitions received earlier in your achievements’ section, do list them in a separate section at the bottom of your resume. These can include both internal company praise (e.g., top sales manager of Q4) and industry-wide awards e.g., #7 among Top 20 Social Media Marketers in 2018 according to Forbes. Yes, cover letters are not optional. Rarely if ever a resume alone will do the trick of landing you a job. In fact, most employers will not even bother opening a resume, filed without a complementing cover letter. 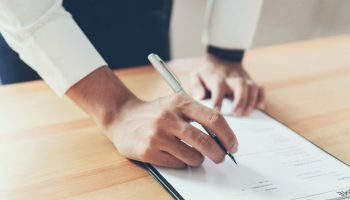 Check our quick guide to writing killer cover letters and browse professional cover letter examples created for different industries. Write a professional header section with your name, professional title, and contact information. Craft a resume objective or resume summary statement to catch the reader’s attention. Create a keyword-rich work history, highlighting your main tasks, skills and achievements. Wrap it up with additional personal tidbits. Be consistent with your style, fonts, colors and formatting throughout your resume. Spell/grammar check your document before filling it. Ask a friend to proofread it if you like. Customize your application to every job posting by highlighting different skills, duties and achievements. 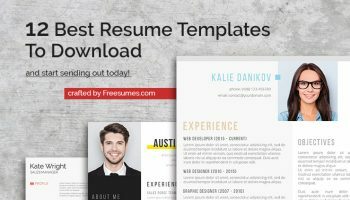 And if you are struggling to make all your information look presentable enough and attractive, browse our free resume templates. We are sure you will find the design you love among the 100+ templates listed. Once you make your pick, just download the template, open it in MS Word and start adding your personal details using the tips mentioned above!